Turf Synthetic Classic 35 SynLawn (min order 5m) : BCSands Online Shop - Building and Landscape Supplies, we supply Sydney's best! Soft touch and medium-high weight, this synthetic turf is recommended for residential, play areas, pets, and commercial areas. 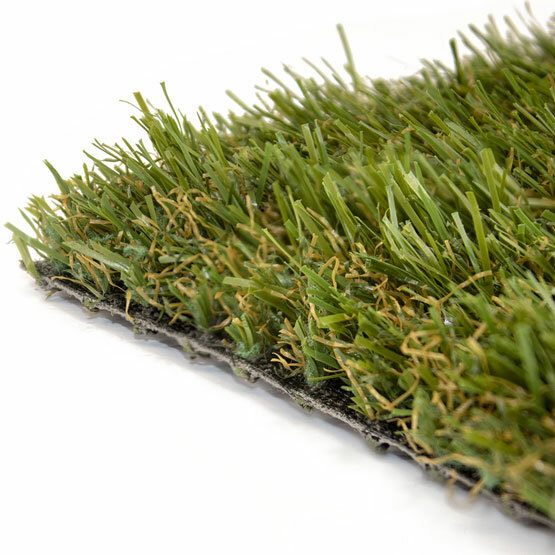 It combines multi-coloured 35mm grass blades with a polypropylene thatch zone of natural colours and has HeatBlock cooling technology to keep it 20% cooler on your feet than similar artificial grasses. Classic 35 also has a fire rating of AS/ISO 9239.1-2003. Rolls are 3.71m wide and come with a 12-year warranty. Minimum order 5 lineal meters.